Katherine Bennett is a media artist. She utilizes sound and light to represent people, relationships and activities that happen in other spaces and times. She creates a delicate presence of these entities, mapping it over time and making it visceral. 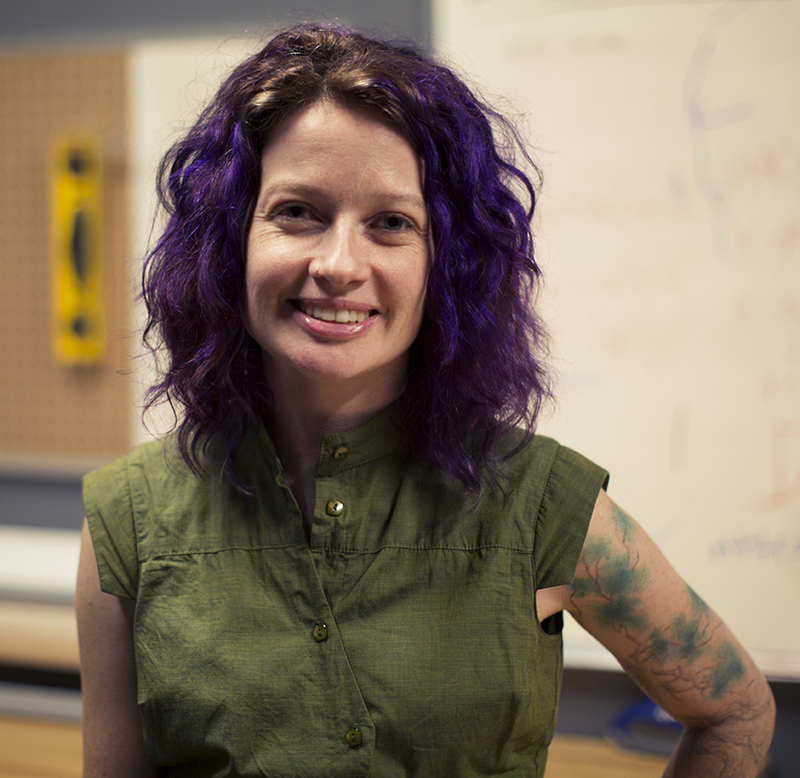 She utilizes programming and physical computing to create interactive and responsive multichannel installations and narratives. She is fascinated by the liminal spaces created by digital communities and the culture that transpires as a result. Her latest environments investigate the development of social networks, experiment with interaction thresholds and wireless communication traffic. She earned her MFA from The School of the Art Institute of Chicago, in Art & Technology Studies. She has won several grants. Her work has been featured in many exhibitions nationally and internationally. She runs the NYC-Creative & Experimental Software Meetup. She is a Visiting Assistant Professor, for Integrated Digital Media at New York University's Tandon School of Engineering, where she teaches physical computing, programming and interaction design. Communication technologies and their impact on social interactions, creating environments which make physically perceptible phenomena and processes that aren’t otherwise (ie, Alzheimer’s memory flashbacks, walking through a field of stars), development of social networks, interaction thresholds and wireless communication traffic. Bushwick Film Festival, Brooklyn, New York. 2013 Oasis Places, Maryland Art Place, Baltimore, Maryland. 2010 Interactions, UD@Crane, Philadelphia, Pennsylvania. FireFlights, Borders of Lake Michigan, Illinois. 2016 4DSOUND Hacklab, ZKM, Center for Art and Media Karlsruhe. 2016 Memory Spaces, ZKM, Center for Art and Media Karlsruhe. 2008 Mash-Up, International Symposium for the Electronic Arts, Singapore. The Brag, New South Wales, Australia, September 28th, 2009. The Community Press, Cincinnati, Ohio, June 23, 2004. Cincinnati Magazine, Creative Class, May 2003.